Stylish Star Allu Arjun’s Naa Peru Surya is in last leg of production. Currently, a song is being shot on Bunny and his romantic interest Anu Emmenuel in a specially erected set in Annapurna 7 Acres. Megastar Chiranjeevi visited the sets along with Allu Aravind yesterday and he spent nearly an hour. Apparently, Bunny was tensed to dance before the dancing star Chiranjeevi. “Mega Entry to NSNI sets . Could not dance when he’s watching . LOVE & GRATITUDE FOREVER,” said Bunny. Actually, Chiranjeevi is flying abroad with family for vacation in summer. He will come back to city on May 8th. So, he won’t be available for any events of NPS. Thus, Chiru visited the movie sets yesterday. However, he would watch the film after coming back from his vacation. Meanwhile, NPS audio launch will be held on 22nd of this month, wherein pre-release is planned for 29th. The movie will grace the theaters on May 4th. 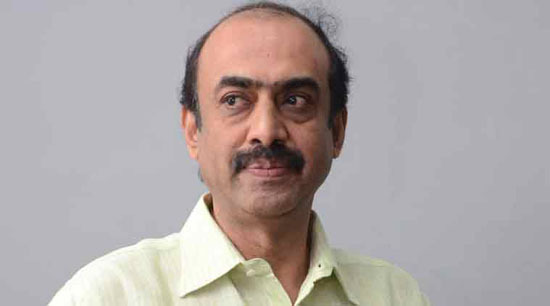 When Will Suresh Babu Open His Mouth?